A holiday in South Africa. South African Tourism is upping its marketing campaign across its key African markets; a move aimed at building on the success of the World Cup. For the Kenyan market, the tourism marketing body has launched a mobile site with detailed information on the various deals. 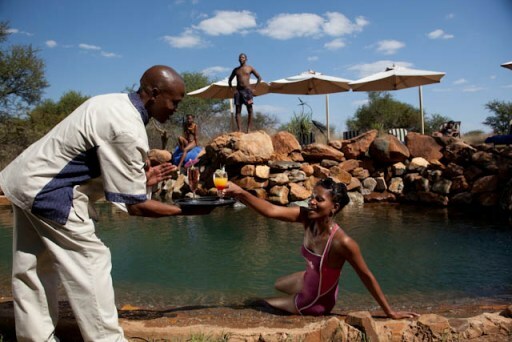 “With Kenya being one of South African Tourism’s core target markets it is vital for us to communicate to the market our value for money offerings -the variety of activities they can engage in while in South Africa on an easily accessible platform,” said Mr Phumi Dhlomo, South African Tourism’s Regional Director for Africa. He continued: “Every market has its uniqueness and Kenya is no exception. For instance, Kenya has a generally younger population but affordability is within the older yet smaller segments of the population hence the majority of our visitors are between the ages 35 – 45 majority coming from Nairobi. The mobi site is part of our integrated communication strategy maximizing our brand awareness promotion to this tech savvy population by availing information through their mobile phones”. Visitors to the mobi site are requested to register which means that they only receive information they are interested in. “Site visitors can choose information they would like to receive from SAT and this gives us the opportunity to customize that communication accordingly by taking into account the unique needs of Kenyan travelers,” said Phumi. According to a research carried out by Acceleration Media, a strategic digital media company in South Africa, the Kenyan mobi site recorded an impressive 5,444 clicks during the time period between October 27 and November 17 2010. During the same period, a total of 4,099 unique users with a response rate of 75% were also recorded. Recently, SAT also announced the appointment of four tour agents who will operate as trade partners in helping sell South Africa as a preferred and affordable business and holiday destination through a joint marketing deal. The four trade partners comprising of Bunson Travel, Holiday Bazaar, Travel N’ Style and Charleston Travel have been tasked with the role of developing travel packages which are then uploaded onto the mobi site. Mr Dhlomo said that South African Tourism had built a strong bond within the Kenyan market and was keen on continuing with the relations by working closely with local agents on mutually beneficial term. He emphasized the important of the African market to the South Africa Tourism which contributed over 7 million out of the 9.9 million tourists who visited South Africa in 2009. “Our target for 2010 is 10 million arrivals, the bulk of which is expected to come from Africa. We believe we will reach this target because South Africa has more to offer. As a destination we pride ourselves in our ability to offer a diversity of eclectic experiences that will have Kenyans curious to explore more when they come down to South Africa,” Dhlomo said. In addition to the engaging local trade partners, South African Tourism has also engaged popular social media including Facebook and twitter to reach a wider audience.